I wanted to blog about her ever since I saw her beautiful DIY wedding. Yes, she's DIY-ing every single item for her wedding. I'm very impressed with the outcome. 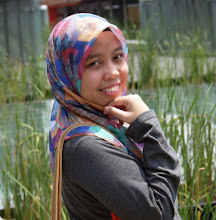 You're really inspiring.. Intan Norazam. I ♥ her veil and her handbouquet to the max! She's DIY-ing them by herself. AWESOME rite? The handbouquet is made from fabric. She shared the tutorial to DIY the handbouquet here. You may find the review on her DIY veil too. The pretty bride with her DIY veil and felt handbouquet. Spot the fabric ring she wore? Sweet! Oh, I really ♥ her dress! Tailored by her uncle. Lucky you to have such a creative uncle, Intan! Felt wedding cake? It's very RARE! Sgt sayang nak makan kann..?? Read the review on her sweet wedding cake here. Goshh.. she even DIY-ing the dais! A very simple dais but still.. it's damn AWESOME! 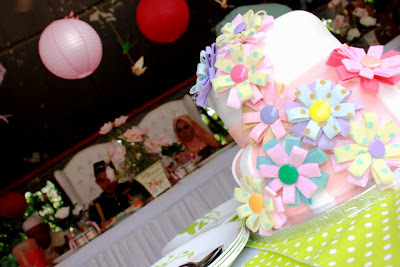 She reviewed about her DIY dais here. The main table and the decorations. I'm speechless. It's too beautiful & perfect! She has put her full effort to make her dream wedding comes true. 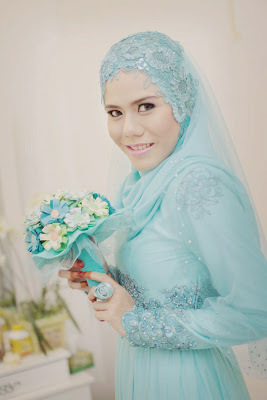 and YES, you really have your dream wedding, Intan. You are a DIY Queen. Happy Married Life till eternity. All pictures taken from Intan's blog. 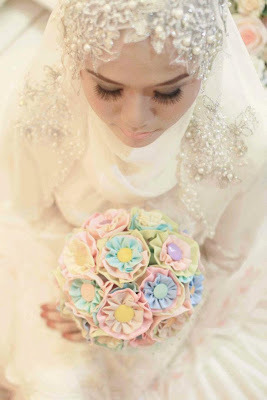 im so inspired by everything she did for her wedding..
best kan dapat buat DIY wedding camni. byk idea yg dia kongsi..sbb tuh wedding dia sgt2 best..
yes.. wedding die sgt cntek.. suke sgt.. da jadikan die idola.. simple but perfect..
you, kenapa sweet sgt ni!!! very simple. tapi perfect kan? i mmg dah lama nak blog pasal u dear. yes, die mmg berbakat to be a wedding planner. she has many creative ideas. agree? nora pun suka intan !! sangat suka ! !